The largest Holiday Inn Express® in France opens at one of the Europe’s busiest airports. 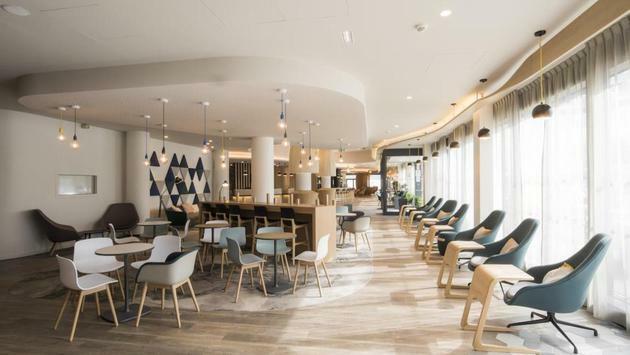 Directly connected to Terminal 1, the Holiday Inn Express® at Paris – Charles de Gaulle (CDG) Airport, an IHG® hotel, has recently opened to provide guests with easy access to one of the world's busiest airports as well as speedy transport links into central Paris. Holiday Inn Express is IHG’s largest and fastest growing hotel brand globally with 2,600 hotels open and an additional 766 set to open in the next few years. Across Europe, there are 244 Holiday Inn Express hotels open and 67in the development pipeline, 9 of which will be in France. Across all its brands, IHG has 56 hotels open in France, and a further 15 in the development pipeline.